Sen. Mark Kirk’s campaign sent out a mailer this week with a “save the date” for Rep. Tammy Duckworth’s upcoming workplace retaliation trial. The mailer comes amid a fierce battle between the two as Kirk faces a tough bid for re-election against Duckworth in November. The 7-year-old lawsuit against Duckworth, which will go to trial on August 15, alleges ethics violations and workplace retaliation during the her time as Director of the Illinois Department of Veterans Affairs, although the congresswoman denies treating the employees unfairly. According to the lawsuit, Christine Butler accuses Duckworth of firing her for insubordination for complaints she made against her boss, the facility's director. The termination was ultimately reversed within days of the meeting with Duckworth. Kirk’s campaign has hammered Duckworth on the lawsuit and her ties to incarcerated former Illinois Gov. Rod Blagojevich, who appointed the congresswoman Director of the IDVA in 2006. Duckworth's campaign responded to the mailer Friday, claiming Kirk should be worried about the Nov. 8 election, not Duckworth's trial date. The congresswoman's camp also faulted Kirk for his campaign funding. “The date Republican Mark Kirk should be worried about is November 8, 2016, when Illinois voters will have an opportunity to pass judgment on his six years of ineffectiveness," Democratic Party of Illinois spokesman Sean Savett said in a statement. "On second thought, Kirk has been effective at doing the bidding of the Wall Street banks and Washington lobbyists that fund his campaigns at the expense of Illinois working families." "That's what's going to matter this election no matter how much Mark Kirk continues to exaggerate and peddle fiction," Savett added. According to Open Secrets, Kirk has accepted over $3 million from the securities and investment industry since 2002, making the industry his top donor. Meanwhile, Duckworth’s campaign has tried to tie the senator to presumptive Republican presidential nominee Donald Trump. In March, Kirk told NBC Chicago that he would support Trump if he were the Republican presidential nominee. Kirk changed course this week, condemning the divisive billionaire and pulling his support. Nevertheless, the Duckworth campaign continued the assault Wednesday, releasing a campaign video featuring incendiary statements made by Trump before Kirk pulled his support. 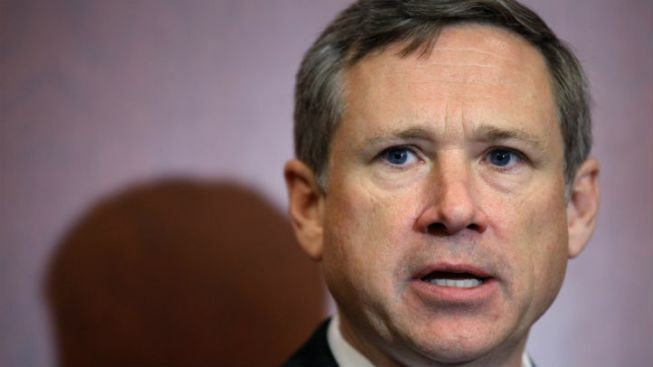 Who Will Senator Kirk Back for President? In response, the Kirk campaign slammed the video for its "demonstrably false claim" and continued to tie Duckworth to Blagojevich. "Ironically, Trump and Duckworth have much more in common than people think," Kirk spokesman Kevin Artl said in a statement Thursday. "Both supported corrupt former Illinois Governor Rod Blagojevich and both are headed to trial."